Firstly, Eurovanille is a story, the story of a man and his passion for a spice. 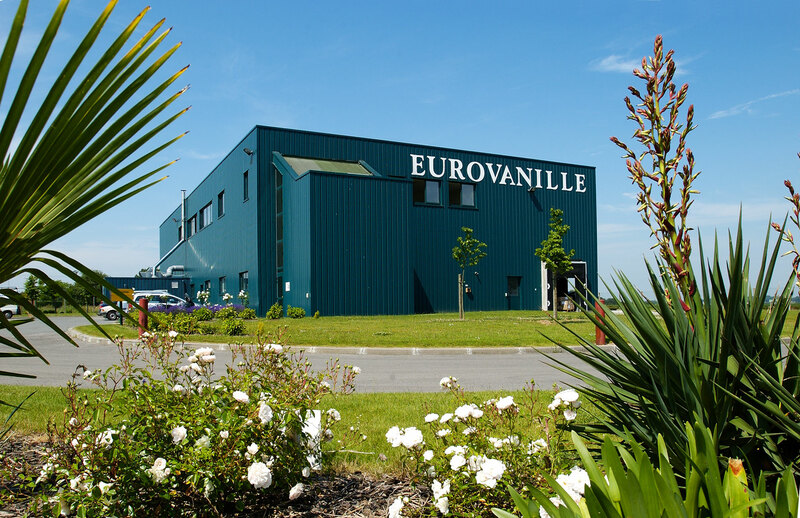 In 1990, Laurent Bourgois opened the gates of a new market by setting up Eurovanille, the first specialized company in natural vanilla. From the beginning, Eurovanille started supplying the best chefs and most prestigous restaurants with the very best vanilla pods direct from source. Our reputation gradually grew, encouraging us to add other natural ingredients to our catalogue. In our constant quest for excellence, we select the best varieties of vanilla from around the world. We have our own processing facility in India which enables us to control each stage of growth and maturity so that we can guarantee a faultless supply of vanilla with the most balanced and rounded flavours. Now with more than 6000 clients in more than 80 countries, Eurovanille headquarters is situated at the crossroads of Europe in order to enable short and fast delivery times. (the Nord-Pas-De-Calais region in France). Our headquarters reflects our image of tradition and modernity. In one site, we can merge traditional methods with modern techniques. We have our own R & D facility so that we can create new ways of drawing out the best vanilla flavours from our products. We can also design specific made to measure vanilla products for our clients. 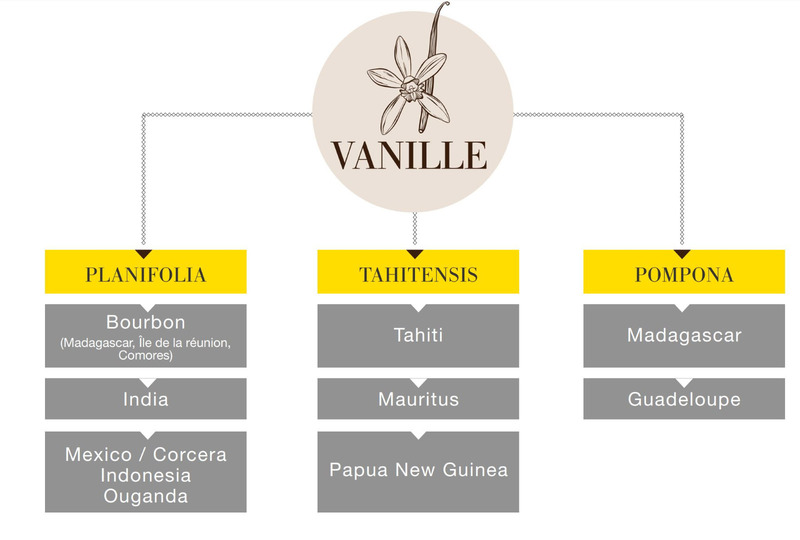 It is this know-how and expertise that has made Eurovanille the benchmark vanilla company for the past 25 years. Vanilla originated in Mexico and is the fruit of the orchid. It was imported into Madagascar by the French in the 19th century and has been associated with that island ever since. Madagascar is now the leading vanilla producer in the world. The vanilla flower in Mexico was pollinated by the Mélipone bee. Thanks to Almond Albius who discovered that the flower could be pollinated by hand, vanilla could thereafter be grown in any tropical region even if the Mélipone bee wasn’t around. Hand pollination is a delicate exercise and has to be carried out once the flowers bloom just after dawn. Their life is short and the flowers fall off once night falls. We supply natural products only. No artificial aromas or flavours are used. The products in our range (powders, aromas, concentrates, infusions…) can be adapted to include a particular variety or origin of vanilla. All the processing stages are carried out in our factory in France. Here we grind, sieve, heat-treat vanilla in all its forms. We also have a state of the art extractor for carrying out the highly specialized hydro-alcoholic extraction phase. We are IFS certified. Our mission is to help you innovate. Our R & D laboratory is at your disposal to study any new products you may wish to launch as well as finding new ways of expanding our own range. We provide a “custom-made” service and can create ready made products with your own material. On top of this, we use our marketing expertise to analyse trends in the vanilla market. Recent innovations include our vanilla pearls or our ready to infuse vanilla in a sachet. We design products like these in order to show how vanilla can be fully used to bring out its full range of flavours. To secure planters in the long term, and professionalize the supply to its customers all over the world, Eurovanille is committed to fundamental research. In partnership with a consortium of French public institutions: CIRAD, Université de la Réunion, Établissement Vanille de Tahiti, INRIA, Université de Paris Sud, CNRS but also with the help of the V. Mane Fils company, Eurovanille contributes to the financing of a project to decode the Vanilla Planifolia genome to speed up research. In parallel with this research, our subsidiary in Mauritius is testing Fusarium-resistant plants on contaminated soils. A significant step forward in reducing the use of pesticides. Whether it is fighting against diseases, decoding the genome of vanilla or testing the resistance of new vanilla plants, as a leader in the sector, Eurovanille is involved in research for the entire vanilla industry.